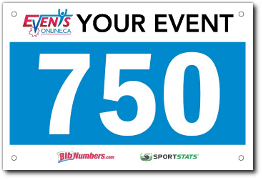 Our goal is to make the bib order process as easy and efficient as possible. 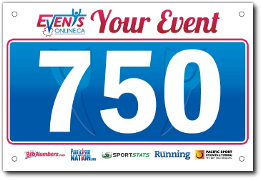 All bib orders incur a minimum charge of $45 CDN / $40 USD. This includes the $15 setup fee, but does not include rush fee or shipping. Tear-offs are only available for the Premium Plus Product Type; sizes 6x6 or 9x6. For those who like it simple, we include our "Standard Design Bundle" starting at 150 units. This provides a quick design as per order instructions, 1 revision by email, plus 1 additional revision per 2000 units ordered. (up to 3 revisions). For that extra punch, we offer our "Custom Design Bundle". This option is mandatory if you are uploading more than 5 image files. When design itself is a feature value for sponsors and participants, we recommend our "Advanced Design Bundle". Provides up to 2 hours of senior design time, product consultation, 3 revisions by email, plus 2 additional revisions per 1000 units ordered (up to 6 revisions). May also include 1 additional versioned design per 2000 units ordered (additional versions can be invoiced at $65/ea if required). 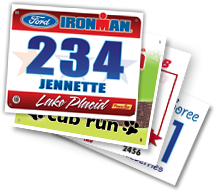 *All examples shown are bibs with Color, Graphics and/or Title and Background upgrades. Orders with numbers only are processed without a client proof. Orders with Header and Footer text above 200 units receive a client proof before printing. Orders are allotted 1 proof cycle per 2000 units (up to 3 proofs). Extra proofing cycles may be ordered up front. 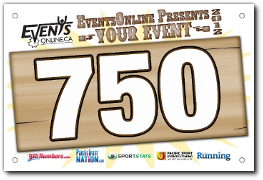 © Copyright 2019 BibNumbers.com. All rights reserved. No unauthorized reproduction of any images or content without permission.